Every Indian food is incomplete without the best and highly admired mouth-freshener, better known as fennel or saunf. It is one of the highly used herbs in India. We all know that saunf is fully loaded with various healing properties. Hence, we have incorporated all the goodness of fennel with some flavours. 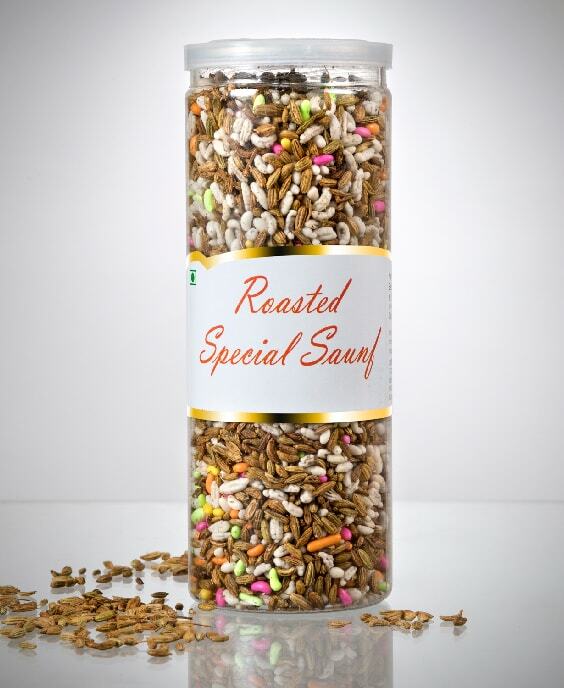 We produce the best flavour of saunf, popularly known as Roasted Special Saunf. This is our special product because it has gained a lot of appreciation for its premium and crunchy taste. Why is Roasted Special Saunf the Best Choice? • An amazing mouth refreshing option: Our flavoured saunf range is the best way to freshen your mouth after every meal. In India, we are used to eating spicy food in which garlic and onion are the most common ingredients. Such ingredients can give you a bad breath. To get rid of a bad breath you can try our saunf range after every meal. • Better digestion: Believe it or not, but taking saunf after every meal can keep your digestion good. Our flavoured saunf helps to beat indigestion and constipation. Saunf contains cool components and this is the reason why it is actually very good for your stomach as well. At Shadani, providing the wholesome taste along with the medicinal benefits is our constant endeavor. For this, we never play with the actual taste of our main ingredient. 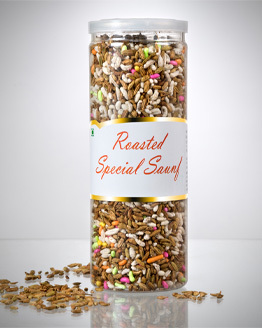 As far as the Roasted Special Saunf is concerned, you’ll find the real flavours of saunf in it. Don’t waste your time by searching other products here and there, place your order now to make this product yours!